Cold smoking is a unique way of adding huge amounts of flavour to meat, fish, cheeses and vegetables. It is also incredibly easy and cheap to do with an inexpensive cold smoke generator. Cold smoking is a technique you are probably familiar with if you have ever tasted smoked salmon or Bavarian smoked cheese. Cold smoke generators are a really efficient way to smoke foods and can produce up to 10 hours of smoke at a time which will flavour your food but not increase the temperature. As evident in the name the primary differences between hot and cold smoking are to do with temperature. Cold smoking flavours and colours the food without cooking it. Cold smoking takes place at temperatures below 32°C (90°F) at temperatures above this the risk of bacteria spoiling the food becomes a concern. Cold smoking usually occurs in a chamber with a separate firebox from which smoke is pumped into the smoking chamber. Cold smoking is often used to impart smoky flavours in foods that don’t require cooking such as cheese. As we will see in a moment cold smoke generators produce very little heat at the same time as producing plenty of smoke. This means a cold smoker can be set up very simply with something as simple as a cardboard box a smoke chamber. The best cold smoke generators typically come in one or two variations. A tube smoke generator is a cylindrical mesh that has a removable cap, wood pellets are added to the tube and can be lit with a propane burner or blow torch. This type of cold smoke generator will usually stay alight for between 2 – 6 hours and produce consistent smoke whilst not getting too hot. 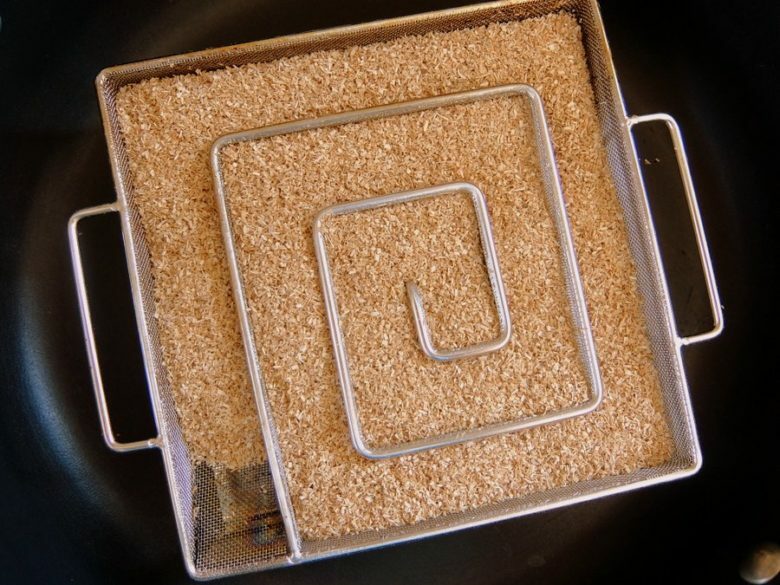 A mesh grid style cold smoke generator uses pellets or wood dust for fuel which is packed into a mesh container. They typically produce smoke for slightly longer than a tube type smoke generator with some like the ProQ Cold Smoke Generator lasting between 6 – 8 hours. Both of these smoke generators produce very little heat and when placed in a chamber that could be a simple as a kettle barbeque or a cardboard box will allow you to get loads of smoke character on cheese, vegetables, salt, eggs or much more. It must be noted that most meat a fish is cured before cold smoking. I don’t recommend you try cold smoking meat or fish at home unless you really know what you are doing. The chance for bacteria to thrive is very real when processing meat and fish, especially at temperatures around body temperature. I recommend cold smoke generators for flavouring cheese, vegetables, mushrooms, butter, salt and eggs. This type of produce is safe to cold smoke and doesn’t pose the risks that smoking meat and fish does. Smoking was once a means of food preservation but in modern cooking, it is almost all about adding big flavours and colour to food rather than extending the safe shelf life of food. There are some small preservative effects from cold smoking which are primarily from the acidic coating smoke gives the food and from dry the outside of the food. 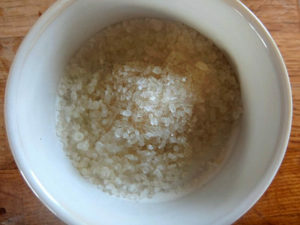 These preservative effects are negligible and in foods like meat and fish are always combines with curing which uses salt and nitrates to make the food safe to consume. The best way to start with cold smoke generators is with foods that aren’t going to pose a risk of spoiling or bacteria growing. The ideal thing to cold smoke with a smoke generator is something like cheese. A cold smoke generator like a tube cold smoke generator or a pellet smoke generator can transform the taste and colour of a cheese like Cheddar or Gruyère within a small amount of time as 3 – 4 hours. 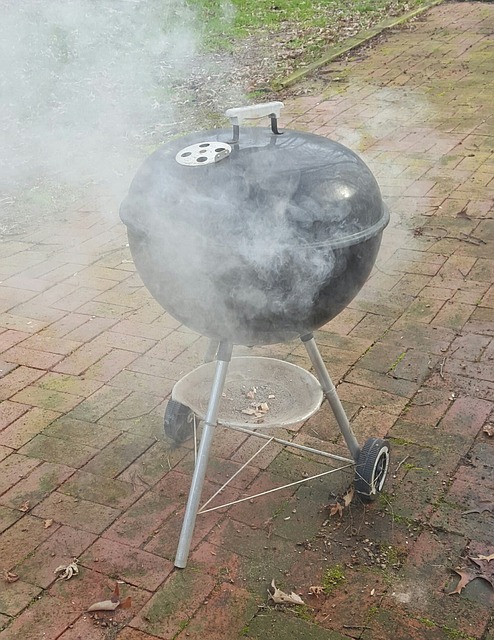 A cold smoke generator like the ProQ cold smoker can be set up in something as simple as a kettle barbeque or a smoking cabinet fashioned out of a cardboard box. As it produces only a small amount of heat, foods like cheese can be placed on a grill or rack a small distance away and will take on the smokey flavours and colour without sweating or melting. It will depend on what sort of cold smoke generator you have as to which is best to use. In my experience wood dust smoke generators last longer and are slightly cooler in the smoking chamber. Pellets are incredibly easy to handle and load into the cold smoke generator and less likely to go out after being lit. 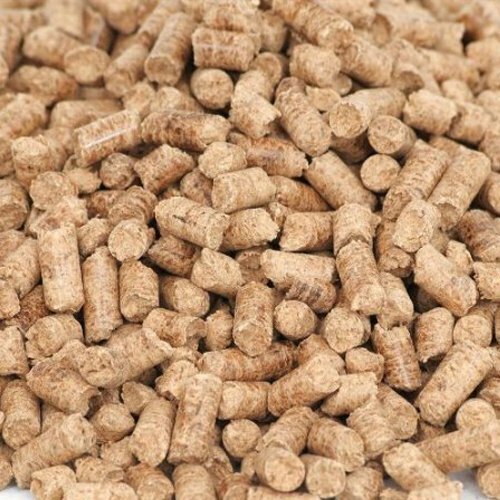 Both wood pellets and smoking dust come in numerous varieties of wood each subtly different and adding a unique character so it is worth experimenting. Apple wood is a popular choice and gives a sweet character in smoked foods like cheeses. Once you have a cold smoke generator and the fuel needed to burn all you need is a chamber to hold the food you are smoking and contain the smoke produced. You will want to place the food on a rack or mesh so the smoke can permeate the food and move around freely without the rack blocking airflow. This rack needs to be suspended a little distance away from the cold smoke generator so it doesn’t warm up significantly. A kettle barbecue is a popular makeshift smoke chamber. If you do not have any suitable chamber a simple cardboard box with racks suspended half way up will work and can be made for next to nothing. ProQ actually sell a smoke chamber made out of cardboard. 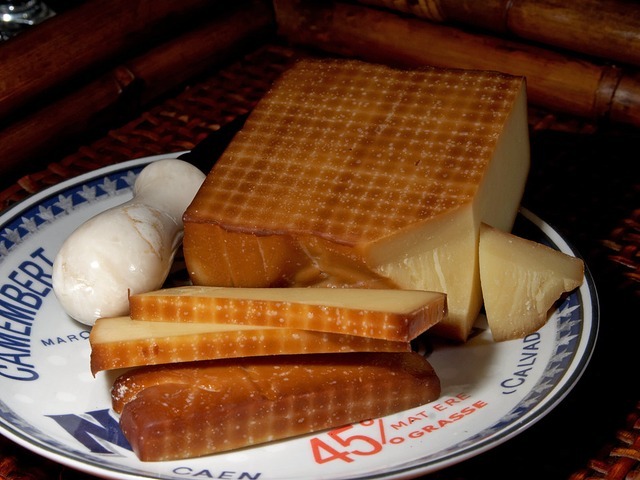 Smoked cheese is a great point of entry to cold smoking as it doesn’t require curing before being smoked. Cheddar, Gruyere and semi hard cheeses are all good choices for smoking, take them out of the fridge a short time before you intend to smoke them so they do not sweat. You will want to set up the smoker outside on a cooler day so that warm weather won’t make the cheese melt or sweat whilst it is being smoked. Fill your cold smoke generator with fuel, smoking cheese will only require enough fuel for 3 – 4 hours of smoking. Light the cold smoke generator and let it begin to smoulder for a few moments, When you are sure it is lit place it in the smoke chamber, this could be a barbeque, home made chamber or a dedicated smoking cabinet. Place the cheese on racks above the smoker, close the lid/door and make sure there is a vent to allow air into the chamber so the cold smoke generator can draw air and won’t go out. Allow to smoke for 2 hours or more depending on how smokey you want the cheese, you may also want to turn the cheeses periodically to ensure even smoking and colour on all sides. Keep an eye on the temperature inside the smoke to ensure it doesn’t get above 32°C (90°F). Garlic and chillies are also good things to smoke and can be placed in the smoker alongside the cheeses.